I just started my freshman year of college this fall and I finally ended up coming to the conclusion that people wouldn’t take me seriously as long as I dressed like your typical teenager. I haven’t had much success since most websites always offer clothes that are way out of the typical college students price range. This changed a lot after coming across Dappered. I’m pretty much looking to change most of my wardrobe. I like a lot of the clothing on Dappered and especially the price, but I have no idea what to buy. Or where to start for that matter. Thyrus should be applauded for observing pretty early on something that took most of us a few years to get a hold of. How you present yourself can change the attitude of the people around you, and it can have a drastic effect on how seriously they view you. I was more concerned with digging my carpenter jeans out of the hamper so I could make it down to the local Pizza joint for “dollar slice Tuesdays” my Freshman year. So, credit him for that. Jack Purcells or other classic American sneakers can be dressed up with jeans and a blazer. Only wear your gym shoes while at the gym. Doesn’t have to be the New Wayfarer. Could be squared off aviators or Persol-like plastic frames. Just lose the X-Games shades… dude. Barron over at The Effortless Gentleman makes a great case for one reason to switch. Although the first time I saw it I laughed, wearing a shirt with “you have died of dysentery” on the front doesn’t quite ooze maturity. College is a time for t-shirts. Just, tone em’ down funny man. I’m in the bag for these shirts. Especially since the no-tailoring necessary even closer to the body fitted cut was released. Wait for a sale, then buy two whites, two light blues, and one each of black, gray, and brown. Your mom bought you those pleated Khakis. And unless you’re wearing these pants Urkle style, half way up to your chin, the pleats will bulge out and give you a cotton accordion spare tire. I don’t know who first made this observation, but squared off dress shoes circa 2002 really do look like Frankenstein shoes. You want the classic silhouette, or a slimmed down version thereof. Even a modern leaning chisel toe looks good. Avoiding the squared toes can be tough to do, especially at a reasonable price. Both of those shoes to the right? Made by Kenneth Cole. The great looking one on the right? $167.95. Ouch. Two kinds of people look okay in just dress pants, a dress shirt and a tie. Kids, and waitstaff. Rarely is a black suit going to be your first pick. Grey or Navy should be your first wool suit. But for your early 20s, you need something that can pull quadruple duty. Job interviews, weddings, (sadly) funerals, and each piece should be able to stand on it’s own. The jacket and pants on a black cotton suit can be broken up and used separately. The indochino black cotton suit looks to have an incredible modern fit with high armholes. The cotton should let you pair the pants with a sweater for work, or the jacket with jeans for a big date. Plus it’ll be a little cooler during the warmer months. A little. It’s still black. A good first substantial watch. Unless you’re at a game or really need to keep the sun off. Need proof that baseball caps knock you down a few notches on the serious scale? Here’s a man who could end the world with a nuclear war. And here he is in a baseball cap. People who wear watches have to be somewhere at certain times. That means they’re accountable to something. Start wearing one. It has just enough smell which fades through the day. Using cologne? Go easy. You don’t “wear” language. But the way you speak is more a reflection of yourself than any article of clothing. 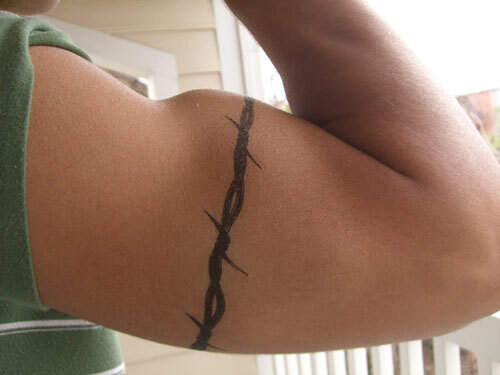 Dropping the F-bomb in every sentence is the verbal equivalent of barbed wire bicep tattoos. It’s a sign of trying too hard. Prudes will say swearing shows a lack of creativity and vocabulary. That’s partially true, but c’mon, we all let one or two choice words fly sometimes. Just know that with every careless swear word comes an eye roll from those around you. It won’t be an overnight switch, but these suggestions should provide a good foundation for Thyrus or any college young-adult to work off of. Leave any other items to stop wearing post-high school in the comments section below. In agreement with most suggestions – but the suit jacket with a pair of jeans? Opt for a blazer instead. An addition, quit wearing hoodies and instead wear a nice cord blazer. Itll suggest the same relaxed vibe, but will communicate that you were up all night reading or engaged on philosophical discussion – and not, I was up all night getting wasted on Natty Light. Not only will a better wardrobe attract potential bed-partners, but you may find it improves your grades. It has been demonstrated in sociological study that attractive people are treated better and are more successful. This died not mean “jersey shore” attractive. Don’t go all GTL with the spray tans and steroids. But so work out a bit and certainly get your style and grooming in order. At your age, you got a great head start! @Travis: Totally agree, but… just trying to kill a lot of birds with one stone (as is sort of a theme for the early 20s). As far as splitting up a suit and pairing a jacket with jeans, I think a good rule is: never with wool, sometimes with cotton. For an example, check out Barron’s review of the LL Bean Signature plain weave suiting over at The Effortless Gent. He mentions at the end that the jacket is now his go-to sportcoat. I admit that I am in my 30s and still have the square toe dress shoe. Has more to do with comfort than fashion. Some day I will pull the trigger on rounded shoes when I find a pair that is comfortable and in my price range. But adding to the shoes, regardless of what type you get, you should have Kiwi Express Shine. For those times in-between polishing, it will buff and keep your shoes nice and looking good. This list is excellent ! It seems like you pretty much went through my closet and gave an excellent replacement for each item. I’m really feeling the Express 1mx shirts since I’ve been looking for an alternative to the few dress shirts I have. I agree with dropping the square-toe shoe, but unfortunately it’s not universal. I’ve got long, thin feet, and pointier shoes look comically long. I am a young adult of 19 years and I just like Thyrus, I am trying to up my style a bit too. I am still a huge step from it but I am still happy to see that I have a few positive points. I rarely wear a cap, my almost always wear a watch, my first suit is a black one. I have to move closer to perfection whenever I can and whenever I have some money to spend. As far as the sneakers go, I have to disagree. I’m a fan of sneakers (not gym shoes) and I can tell you that although Chuck Taylors are classic, every other person around you will be wearing a pair. I would suggest looking at more exclusive options such as the adidas A.039 Mad Cab in grey. They’re only available in the UK unfortunately, but that didn’t stop me from getting a pair and it shouldn’t stop you. Also look at the PF Flyers DRAKE. Those go great with a blazer and jeans. @Bar None, having had both in the past, I can honestly say that it should have nothing to do with comfort. I don’t have any square toe shoes any more, and now have a nice sleek black and a brown pair. These shoes are super comfortable, no less than my old square toe ones. So if it is about comfort for you, try looking at some different brands because the ones you are looking at are not working. Joe has recommended some Cole Haan in the past which have the Nike Air sole, etc. Good suggestions, I went through this phase a while ago too and Dappered was my main source. I suggest going through the Dappered archives, there are some great older articles. When I first started I think I read or perused every single one lol. Building on #4, make sure you get some good stripped or patterned shirts, too. Gap sometimes has some good ones, or you can check the J.Crew Factory (cheaper) for some nice fits. You will most likely need to get them tailored still, but that runs about $10 at a good tailor. Just make sure to keep the colors on the simple side, the patterns will speak for themselves. Then you can wear a tie with it for a really sharp look that has some personality (not that plain shirts don’t necessarily). @will: Thanks for the kind remarks. As far as the suit goes, a black cotton was suggested because of it’s versatility. Now, when you start building a wool suit collection, this piece from Esquire isn’t a bad guideline to follow at all…. Thanks for all the additional advice and input. I mostly wear PF Flyers now since it seems like everyone around me has started to wear chucks more and more. Finally an article to help out the younger guys who prefer to dress like a man and not a “fratboy.” Excellent article, I’m a senior undergrad, and with the help of this site I have a come a long way from my freshmen style. Good for you Thyrus, for getting a jump start. I’m also a early 20s fashion concerned person. Over the past year i’ve been altering my wardrobe and personal style. I agree with most of these points though i have a slightly more earthy and young prep tone (j.crew, rugby) I understand more then anyone shopping on a college student budget, becoming aware of local sales, checking sale racks and using a few good websites (dappered, gilt) really help. On the few rather expensive items i do purchase on full price i make sure they are of lasting quality. Goodluck man, wish a few more younger males were fashion-conscious. Hey I may be referencing this one soon, specifically the “square toed shoe” remarks. Go to Macy’s and get a pair of Levi’s shrink-to-fit 501s in indigo about 2 sizes larger than you normally get (in both waist and inseam). Flip them inside out and soak in a tub of cold water for 10 minutes; hang dry. Get 2 or 3 each: plain colored t-shirts (no logos, no graphics), plain polo shirts, short sleeve button up shirts. Get 2 or 3 each: chino pants (khaki color and another color). Get a couple crew neck sweaters in either wool or pima cotton. But a sports jacket (cord is popular now, but any sports jacket will do). Buy a three-season wool suit in gray or navy. That should suffice for a whole wardrobe. It doesn’t sound like much, but it will do. Crap, I forgot to mention dress shirts and dress pants. If you’re in school still, these won’t be worn as often so you can do with a pair of grey dress pants (make it wool), and a couple dress shirts (white and light blue). You shouldn’t be wearing a black suit to a job interview. I agree with Sam, black is not for interviews. And lets hope you’re not in a Wes Craven movie and your college friends aren’t dropping dead by the dozen. I think a (dark) charcoal suit is a better option for a young guy. Good for pretty much any event but a funeral and a black tie soiree. Indochino has a Utility charcoal suit under $400 that looks good. I agree on the need for a watch, but you can probably get two watches for the price of that Citizen to start you off. Get a Kenneth Cole dress watch to go with your suit (those go on sale all the time at Amazon and at stores like Marshalls) and then something to wear with your more casual pieces. GQ also suggested you go sockless with a suit to work. The GQ’s Style Guy Glenn O’Brien said he wouldn’t trust his lawyer if he wasn’t wearing socks. He said it was for people who also owned their own business. I think navy cotton is more versatile because no one at a funeral will point out that you’re wearing a navy suit instead of a black. Great article. I agree with your edit to the black suit (navy is usually my first choice, personally) and the cleaner mouth, which I’m still working on as well, admittedly. This is a great guide for college dudes / those getting out of college and into the real world, and I’ll be sure to point my younger readers to this article. I hope guys pay attention to their shoes the most. I feel like guys neglect what goes on their feet, and often a good shoe makes the most difference to an outfit. Uh-oh… the very first “this is too expensive” for our little affordable men’s style site. I think where I was going with the watch and sunglasses, is that you could buy stuff that’s half the price, but you’ll get sick of it. I think these are worth saving up for. Especially the citizen which could be your only watch for years. That and Thyrus did mention in an email (which I did not pass along) that he had saved up from an internship and had a budget of around $1000 to totally redo his wardrobe. Good to hear the feedback though. 90% of the time the comments about price points are that I’m being too cheap… For the watch, this one from DKNY. Just $120. While keeping in mind that we’re talking someone in their early- to mid-twenties here, I disagree with ditching the baseball cap in favor of nothing at all. Yes, a baseball cap is a poor choice if you want to be taken seriously, but if you’re outdoors a hat is all but necessary. For the younger crowd, I’d go with a flat cap (http://tinyurl.com/2fw5syu); it’s less casual than a baseball cap, keeps the sun out of your eyes and pairs as well with slacks and a sweater as it does with a suit (black with black or charcoal, brown with navy). Later you can upgrade to the classic fedora or similar. It’s hard NOT to take a man seriously when he’s correctly wearing a fedora. Fedoras and flat caps are not conventional style these days so it looks like some trendy, eccentric style move. A good hairstyle is the most attractive thing you can get on top of your head. Hmm, Joe, I know you’re not a foot expert, but concerning #1 – how about the percent that are flat footed? Being flat footed severely limits my options in both style and comfort. I can opt to wear the standard width, but at the end of the day I’m just hurting my feet and the contours of the shoe. If you’re over 20 tuck it in. The exception is a shirt or sweater with a knitted band at the bottom, a t-shirt at the beach and maybe a Hawaiian shirt at a luau. I was super excited to find this article, since I’m 20 and landed a job in which I have to present myself professionally, but I’m a lady. 🙁 I sent my boyfriend a link, though.